AMES, Iowa – Two food science and human nutrition faculty members at Iowa State University were presented awards from the Association of Public and Land-grant Universities Board on Human Sciences, Inc. during a ceremony Nov. 13, in Washington, D.C.
Pamela White received the Lifetime Achievement Award and Catherine Woteki received the Ellen Swallow Richards Public Service Award. The annual Board on Human Sciences Awards are presented to national leaders working to advance human sciences in higher education. The awards are part of the broader Board on Human Sciences mission of advancing the intellectual integrity and stature of the human sciences at APLU-member institutions. The awards are aimed at supporting the development and stewardship of academic excellence in human sciences; advocating for visibility and leveraging resources to support human sciences research, extension and teaching programs; and educating leaders regarding the capacity of the human sciences to solve human problems. White, former Dean of the College of Human Sciences at Iowa State and University Professor emeritus in Iowa State’s Department of Food Science and Human Nutrition, is the winner of the 2017 Lifetime Achievement Award. The award honors a nationally-recognized leader who has a significant history of promoting and advancing the human sciences in higher education. Over her 40-year career at Iowa State, White authored more than 150 research articles, hosted more than 20 post-doctoral fellows, and served on a host of advisory boards that strengthened ties among government, industry, and Iowa State stakeholders. 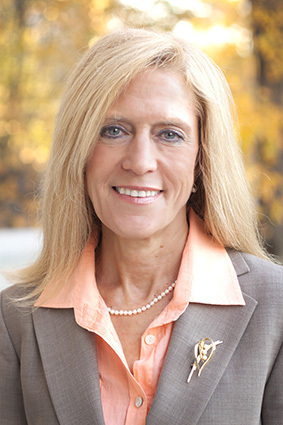 During her tenure as dean, the College of Human Sciences more than doubled to 5,000 students – making it the largest college of its kind in the country. Student retention, graduation, and job placement rates also made key gains under her leadership, as did alumni engagement and fundraising. Woteki, a faculty member in Iowa State’s Department of Food Science and Human Nutrition, was selected for the 2017 Ellen Swallow Richards Public Service Award. The award honors a nationally-recognized leader who has a significant history of promoting and advancing the human sciences. Throughout her career in academia, industry, and government, Woteki has advanced the missions of human sciences and land-grant universities. She has been a leading advocate for the scientific rigor in public policy and interdisciplinary collaboration. As an academic, she has published research broadly – examining child nutrition, nutrition surveys, assessment of dietary intake, and food safety. Her work has addressed the importance of scientific study to inform public policy, the challenges of communicating scientific information to the public, and the value of accurate monitoring of food safety and human health. Woteki was Dean of Agriculture at Iowa State where she added new research initiatives in animal genomics, food safety, and water and air quality. 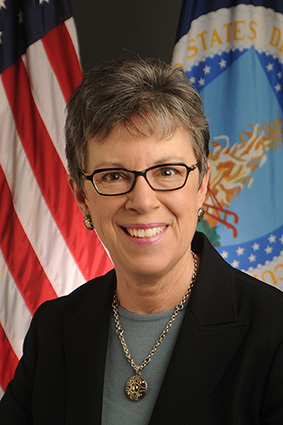 Woteki served as Under Secretary for Food Safety at the U.S. Department of Agriculture from 1997 to 2001, where she oversaw the transformation of the inspection system for meat, poultry, and egg products to significantly reduce the burden of human foodborne illnesses and deaths. In 2010, she returned to the U.S. Department of Agriculture as Under Secretary for Research, Education, and Economics and Chief Scientist. She also oversaw the National Institute of Food and Agriculture, Agricultural Research Service, Economic Research Service, and National Agricultural Statistics Service in that role.